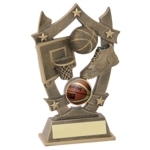 Whether you’re awarding a team or individual, our basketball trophies are ideal. 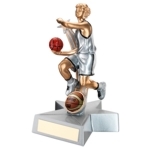 With male and female basketball trophies to celebrate individual achievements to basketball awards for the entire team, there’s an award for every event at Alpha Gifts & Awards. 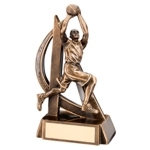 You can add professional custom engraving to your basketball award if you wish, simply click ‘add engraving’ when you’ve chosen your basketball trophy. 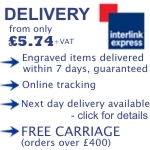 Logos can also be engraved on request, just let our specialists know! Order your basketball trophy online and get it delivered in 7 days, including engraving! For more information please feel free to call us on 01823 288582.